My son Evan just took his 6th kyu test Friday and received his certificate. He's the first student to test with us and holder of certificate #1. Evan started training with us at Kiryu Aikido down in Lone Tree before we started Kinjo Dojo and got a great start on his aikido path with Andrew Blevins Sensei. I'm looking forward to more tests and demos in the future as our dojo continues to grow. As I said after Evan's test, the hard part is preparing for the test and showing what you know to sensei. The test or demo is about showing the rest of the dojo what you have learned. I sent out an e-mail yesterday to our incoming kyu ranks that will be testing for 2nd kyu. These are students that, for one reason or another, had to take a break from their training at other schools and are now interested in joining us on the mat at Kinjo. This morning I did some math on the day requirements for all of the kyu ranks up to shodan (1st degree black belt). Ni-kyu (2nd kyu) is right in the middle. The time spent on the mat up to ni-kyu is equal to the typical remaining time needed to reach shodan. That makes it a major milestone. Aikido should be enjoyable first, and also provide an opportunity for you to push yourself to get better than you were yesterday. The test requirements set up by Hendricks Sensei follow a natural progression of aikido understanding. Whenever I put you up there to do your test/demo, you've already passed. Now it's time to show everyone what you've learned. We will have our last official practice of the year on Thursday, December 19th, so come on out. This will be a short practice where we will reflect on our brief time as a dojo in 2013 and look forward to a great year ahead in 2014. Afterwards we will head over to Namiko's for delicious Japanese food. Facebook event links are below. Hope to see you there! Currently I only have testing requirements in there, but I'll keep adding more as we continue to get organized. The dan and kyu documents from the Aikido of San Leandro website are copied in there, and I have broken out the 2nd Kyu and Shodan tests since most people at the dojo so far will be taking one or the other of those. 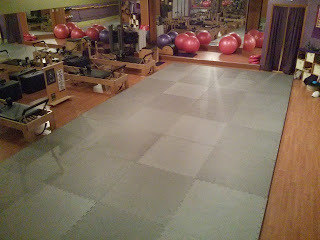 We picked up the mats last night, cleaned, and put them down in the dojo. Afterwards we had time for a short practice to break them in. There is still some extra room on either side so we might add another row, or a half row, but we're off to a good start. Come on by and try them out! We got a smokin' deal on some used mats. As soon as the current owners receive their new set (sometime this week), we'll be able to pick up their old ones (our new ones) and take them to the dojo. I'm hoping we will be rolling around on the new mats by next Tuesday. We have 40 square meters of usable space at the dojo. Did I mention that I bought 120 or so 1x1 meter mats? That gives us plenty of space for future expansion and seminars. Come on by class next week and try them out! Shoumen is built! Now I need to do some sanding and slap some stain on there and/or varnish. Calligraphy... needs practice. I haven't picked up a brush since 1996. "Rusty" is an understatement, but it's coming back slowly. 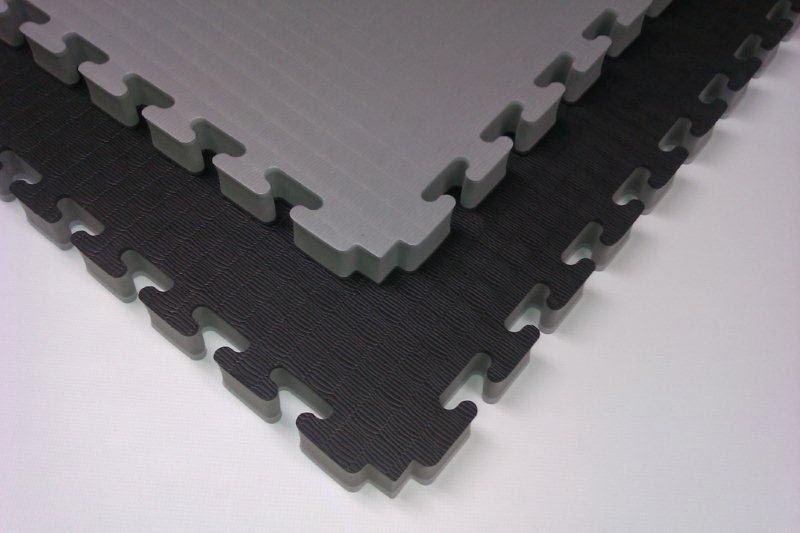 Mats are a work in progress. I found a local set online to purchase and am waiting to hear from the seller. Otherwise there is a set we can borrow. Either way, we should have something to roll around on for Keiko Hajime on Friday. I paid us up for November and picked up the key to the space last night. Unfortunately I didn't snap any pics, but I'll get some Thursday for sure when we do a test run with whatever mats we end up acquiring. Keiko is fast approaching; see you on the mat very soon! I e-mailed our new location to Pat Hendricks Sensei in San Leandro and she was pleased to hear we had a space to practice. Pat-sensei also asked me to let her know after our first class so she could help us get set up and formally affiliated with the California Aikido Association. As a dojo, affiliation puts us on the map and adheres us to a standard for practice, rank, and testing. When you receive rank at Kinjo Dojo, it will be recognized at aikido schools all over the world that are tied to Hombu dojo in Tokyo, Japan. But more importantly, because of our connection to Pat Hendricks Sensei, you will be able to train at any Iwama-style school and have familiarity with their practice, both open-hand and weapons. I can't emphasize enough the importance of that last part. There are Iwama-style seminars going on all the time we can attend as a group and further our practice. If you travel or move to another town, you can look up an Iwama-style school, walk in the door, and pick up where you left off. For students interested in intensive training, the option is available to do uchi-deshi at Aikido of San Leandro, our parent dojo. We are not an island of aikido practice with a unique style. Our dojo is part of a large family of aikido schools throughout the world that faithfully follow the teaching system developed by Morihiro Saito Shihan and continued by his son, Hitohira Saito Shihan. As chief instructor at Kinjo Aikido Dojo, I am honored to be able to carry on that tradition and share what I have learned over the years. See you on the mat soon! We have found a temporary space that should work for our needs until we can work out our permanent spot which happens to be a few blocks down the street on 38th. For the rest of 2013, Kinjo Dojo will have practice at Elixir Pilates & Wellness in Wheat Ridge. See our When and Where page for address and class times. The pilates studio has some "reformer" machines occupying a portion of the room. 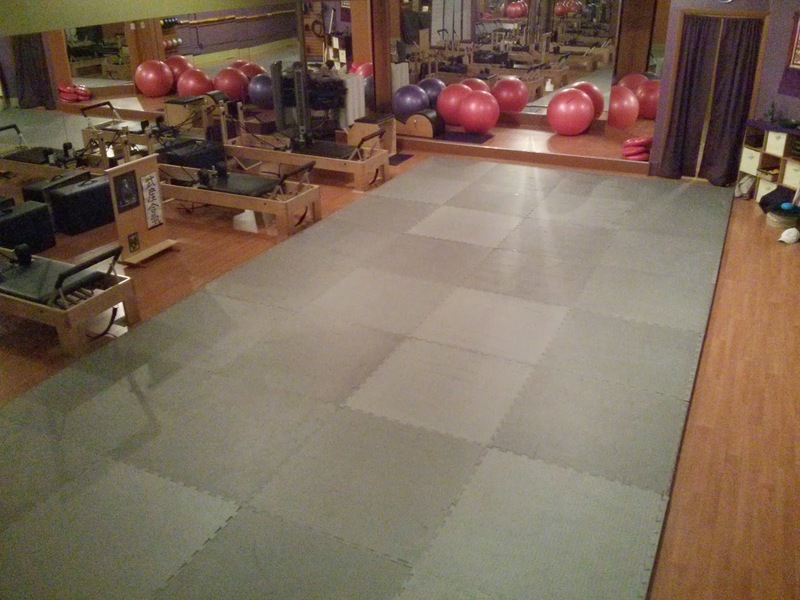 Our usable space is about 470 square feet which is plenty of room for kihon practice and some rolling around. We're tentatively planning a Keiko Hajime (first practice) for November 1st from 6 to 7:30pm. I will post an event with more details soon. I prefer google plus, but everyone and (literally) their mother is on facebook so we can't ignore that audience. Launching the page on facebook is like telling the world what we're doing, and it's a big step. I spoke with Hendricks-sensei last month about our plans and she was supportive. Last week Tyffany talked to Stephanie Yap-sensei and she wished us the best which was great to hear. Since Yap-sensei is active on facebook I wanted to make sure we told her before "going public." Update on the hunt for space: I'm checking in on a pilates/yoga studio near 38th and Wadsworth for a temporary space while we sort out our long term plans. Hopefully we can get a couple of nights a week to start. Check back here for updates. After you have practiced for a while, you will realize that it is not possible to make rapid, extraordinary progress. Even though you try very hard, the progress you make is always little by little. It is not like going out in a shower in which you know when you get wet. In a fog, you do not know you are getting wet, but as you keep walking you get wet little by little. An aikido sempai once told me what he knew of aikido had been learned through constant and persistent training. Getting through the dojo door and onto the mat every night is the foundation of Aikido practice. The founder made the same statement several times through his life. Aikido is learned through training and repetition. Reading Suzuki’s quote about walking through the fog snapped the two ideas together into what has become my own personal motto for training: get on the mat as much as possible; improvement is often imperceptibly gradual. After training for over 15 years, I don’t always notice changes to my practice from one day to the next, or one class to the next. However, I can often look back over the past year and note small improvements. Changes happen, but slowly over the course of months or years. Even knowing that improvement is gradual and will happen with training, making the first step to get through the dojo door can be difficult some days. These have always been the times when I needed to train the most; I need to go to class, but am having trouble getting off the couch. When thinking back to past classes, I can’t remember a time when after training I thought, I shouldn’t have gone to class. Every training has benefit. The ones where I had a difficult time motivating myself to get on the mat even more so. Good training is frustrating. Without the sometimes painful push to improve, practice is empty. That push may come from Sensei, or myself - usually both. First Sensei points out what I’m doing wrong. Next I think, no I’m not. Really? then, how long have I been doing that? Ten years or more? After going through the mental process of recognizing what needs fixing, I make the effort to change my technique and hope it sticks. Unfortunately my old habits tend to be stubborn and the process may repeat a few times before I can move on. These small realizations are droplets in Suzuki’s fog. The idea that even though I don’t feel like training, it will be worth it afterwards takes time to sink in. Going through the frustrating process of finding and recognizing the mistakes I’m making in my techniques, then attempting to fix them so that the changes become permanent can be painful and some fixes take months. Later in class I’ll notice I made the change without thinking, and remember the reason I keep walking through the dojo door. I’ve found that one bokken suburi no matter how well executed is not enough, nor is one hundred. Only after thousands of suburi does the form begin to reveal itself. Thousands of suburi, and thousands of hours on the mat eventually lead to a better understanding of Aikido, and I feel like my training is just getting started. Before we can have an official dojo (I plan to organize some unofficial practices in the mean time), Business Things have to happen. We have to create an Incorporated Entity for Kinjo Dojo, after that goes through, we have to fill out a zinger of a tax form to apply for non profit (501(c)(3)) status. This is all a learning experience for me and I'm documenting the whole process if anyone wants a step-by-step afterwards. The non profit application could take months to process (at 31 pages long, it could take months to fill out!) and I'm hoping to have folks rolling around on the mat long before that. So it's a work in progress. In the mean time we'll figure out a space solution somewhere so we can have some taijutsu (open hand) practice. Weapons training is easier; weather permitting we can meet up in a park and swing sticks around. I'm hoping to organize one of those very soon. Winter is coming and the nice park days will soon vanish from under us. I'll keep the aiki-blog updated with our progress. Subscribe to have the info sent to your favorite reader. See you on the mat soon. Saturday night at the 2013 Shigeru Kawabe Memorial seminar we had a banquet where different people shared their personal experiences with the late Kawabe Shihan. Since I didn’t know him personally, my story pales in comparison. However, even though my contact with Kawabe Shihan was indirect, he still made a lasting impression. I would not be here without Kawabe Shigeru Shihan. I would be somewhere else. Another state perhaps, maybe doing aikido, maybe not. Another life. Back in 1995 I joined a small aikido group at Appalachian State University in Boone, NC. We didn’t have a sensei, so sempai (senior students) from different styles would lead practice. Our club struggled to find a regular teacher. Some of the senior students would invite dan-level aikidoka they knew from Charlotte or Raleigh to come teach the occasional Saturday class. But most of the time sempai would teach. Then we struck gold. A new faculty member, Ted Jones began working at the university. Ted had just returned from Akita, Japan where he had been working with Minnesota State University. Lucky for us, Ted had trained in aikido while in Japan under Kawabe Shigeru Shihan. Ted-sensei’s aikido was a little different from what we had been doing. He made us use “kiai.” We started every class with tai-no-henko and morote-dori kokyu-ho. We began doing katas with the jo and ken, and suburi practice. Ted-sensei explained that in Iwama aikido, weapons (aiki-ken and aiki-jo) were an integral part of training and testing. Later in 1996 I had the opportunity to travel to Japan for year-long exchange program. Determined to train in aikido while there, I talked to Ted-sensei about how to go about finding a teacher. His response: Morihiro Saito-sensei, who taught his teacher, Kawabe-sensei. In Japan, I felt like Luke Skywalker seeking out a Jedi master. I was still struggling with Japanese so I had my language partner help me call dojos looking for a teacher who had trained under Saito-sensei (I was in the Kansai region which is a long way from the Iwama dojo and Saito-sensei himself). I was fortunate to find a small dojo in Kyoto lead by Higuchi Takanari sensei who had trained under Saito-sensei for many years. Under Higuchi-sensei I was able to continue my training in Iwama aikido until leaving Japan in mid 1997. I had the opportunity to see Kawabe sensei in person a few years later in 1999 after moving to Colorado and attending a massive seminar hosted by Nippon-kan and instructed by Morihiro Saito Shihan. I remember looking over the sea of sweaty aikidoists at Kawabe shihan observing practice from the front of the gymnasium through his signature thick-rimmed glasses. I felt a sincere gratitude to the man who, even though he had never taught me directly, shaped the direction of my own aikido. If you have an interest in aikido training in the northwest metro Denver area, please take two minutes to fill out the form and let us know what works best for you. Since we are still in the planning stage, we can be somewhat flexible about our future location and times. The more input the better. 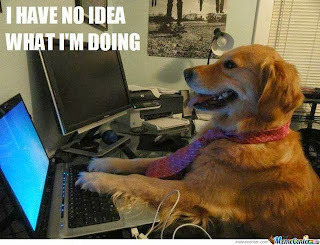 Being a web developer and database admin, setting up a web presence for Kinjo Dojo is the easy part. Next step, and far more challenging is finding a place to practice. We are hoping to train two nights a week, either Tuesday/Thursday or Monday/Wednesday. I have received permission from our teacher, Andrew Blevins Sensei, to begin the process of opening an Iwama-style dojo in northwest metro Denver. Since Tyffany and I live in Broomfield, that would be the ideal location, but we are open to alternatives and may end up closer to downtown.